March Bonus Project on "Craft Project Central"
There's a new bonus project, created by Nelia, for the month of March over at Craft Project Central and it's just in time for spring and Easter. 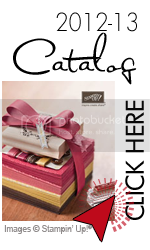 Of course, it would also be a great project for birthdays, Mother's Day, bridal showers, etc. just by changing stamp sets and colors. Find out how you can get the March bonus project over at Craft Project Central! I'm a Guest Designer over at Craft Project Central! 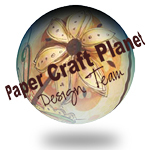 I'm very excited to be chosen as a Guest Designer this month over at Craft Project Central, which is a site put together by Jacque Craig (a fellow demonstrator in Hawaii). My project will be debuted at the end of this month, but in the meantime, there's some amazing projects already up for the month of March. Here's a sneak peek at the project that Rose created. Isn't it beautiful? 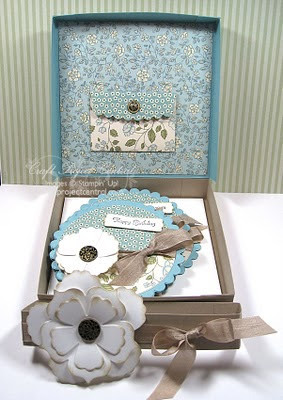 It's a boxed set of 4 vintage scalloped circle shaped cards. You can find this and 3 other projects over at Craft Project Central - head on over and subscribe for March. I'm back for another post as part of my Guest Designer stint at Sweet n' Sassy! When I saw the Milton Reading digi image, I couldn't help myself. I had to have it. I've always been a voracious reader and my daughter has quickly followed in my footsteps. She's 10 years old and loves chapter books. She's starting to read some of the favorites I had at her age. She's never seen without a book....she's just like her mama. I don't know how she carries her backpack, as it's loaded with books. It's uncomfortable for even me to pick up because it's so heavy! I thought it would be a special treat for her to wake up to a cute bookmark for the book she's reading. That's one thing she didn't pick up from me.....bookmarks. I don't know if she's even thought about using one. I've always used them and even had a huge collection when I was her age. I printed the Milton Reading image onto water color paper and it printed beautifully! I used my ink pads as palettes by pressing the lid of the pad against the pad itself. A little bit of water on the color on the lid and a detail paint brush and I was ready to go. In spite of all the shading, I only used 4 ink pads for this image. I just made sure to water down some ink more than the other so that I could get some shading that perfectly matched the base colors. I rounded the corners with a punch on both the water color paper and also on the pink cardstock that I mounted it on. I punched a hole at the top of the bookmark with a 1/4 inch hole punch and threaded some pink gingham ribbon to create a tassel. Now I just need to make one for myself. Milton is just too darn cute and it would even cuter for mom and daughter to have matching bookmarks! Hello everyone! I'm thrilled to be one of the Guest Designers this month for Sweet 'n Sassy Stamps. Today I'll be showing the first card I've made using some of the digital stamps that S'nS offers. 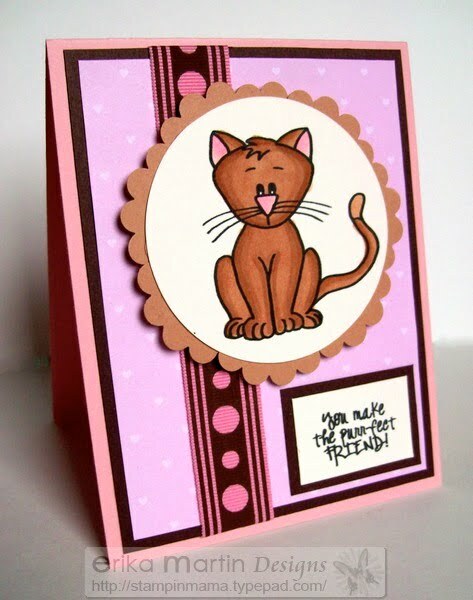 One of the sets that I chose for my guest designer stint is Purrfect Friend because I'm a cat lover and I also have a lot of friends that are cat lovers, as well. I'm going to get a ton of use out of this set. I already have the person picked out that this card is going to be sent to. One of my best friends that lives overseas in Belgium. We may have an ocean separating us, but that doesn't keep our friendship from growing. She can't have a cat where she lives, but she absolutely adores them, so this card will be the next best thing to having a cat to cuddle and it will also show her just how much she means to me. I printed out my digi stamps and then used my Copic markers to color the kitty in. I never used to be a pink lover, but I've always liked shades of brown. Over the last couple of years, I've really come to like this color combo together. And this kitty looks so cute in pink and brown. 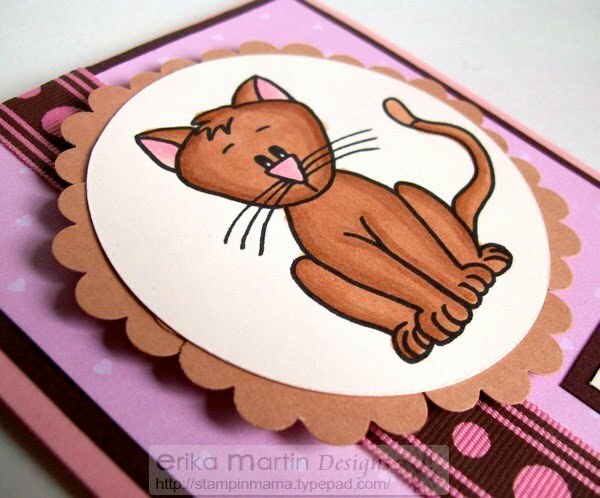 I used a scalloped circle punch to punch out a bunch of circles in caramel cardstock and snipped them in half to layer them behind the kitty to make a scalloped border. I used pop-dots to give it some height on my card. Some patterned paper and a little bit of pink and brown grosgrain ribbon finished my card off. Looky, looky!!! I'm a featured artist! Make sure you go over to check out Andrea Walford's site today! I'm her Featured Stampin' Up Artist this week! I'm a Featured Crafter Today! WOOHOO! A couple weeks ago, I got an email from Andrea Hays, from Crafts On a Whim, asking me to be the Featured Friday Crafter. What an exciting honor! She just posted the interview today, along with some pictures of crafts (cards, scrapbook pages, altered books, gift ideas) that I've created! Andrea does an amazing job of interviewing people and is always on the lookout for crafters to feature! Thanks, Andrea, for a wonderful opportunity! It's not often that I get to feature a great artist two times in a little over a week! But I get that pleasure today! Today's card from the Spring Blogger's Swap is from the amazingly talented Sarah Moore. Just last week, Sarah and I posted each other as Guest Artists on each other's blogs. I'm THRILLED that I can feature her again on my blog in such a short amount of time. And I'm thrilled that Sarah and I will be working together as 2 of the 5 girls that are on the newly formed Tuscan Rose Design Team. Sarah sent this fabulous card as her Spring Swap and I just LOVE LOVE LOVE it! It's a really cute and different design than a regular formatted card. 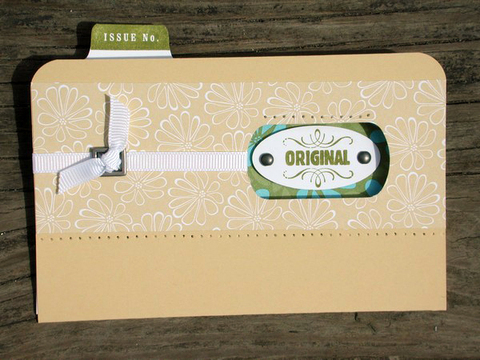 It looks like a mini file folder! How CUTE is that???? It has a little punched out window on the front and inside, there's a card that comes out! Have I mentioned how much I LOVE this card??? Sarah also heads up the awesome Craft Critique Blog and there's an AWESOME Altered Items Carnival going on over there. Sarah is a girl of many talents. The things she does with the "retro" style are absolutely amazing! The talent that girl has astounds me! THANK YOU, Sarah, for such a cute and ingenious card! 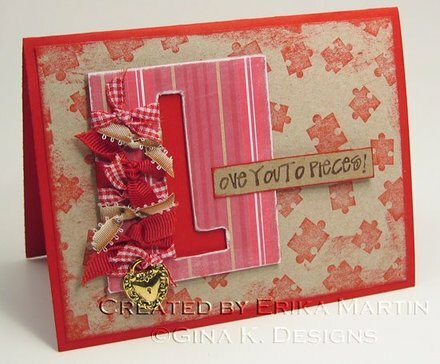 Today's card from the Spring Blogger's Swap is from Denise Bryant. Denise's blog is found over at All Things Stamped. Denise has such a fun spirit and I love reading her daily musings about stamping, samples, life and the world the way Denise sees it. She's got a great sense of humor and I LOVE that's she's open and candid. 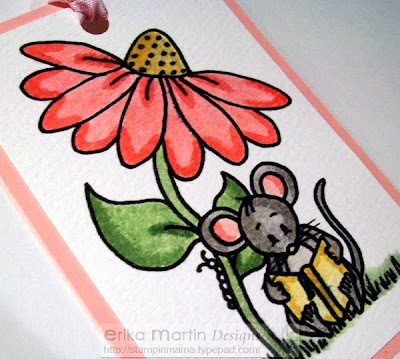 Denise is also a fantastic stamper and has a wonderful eye for color combinations and design. 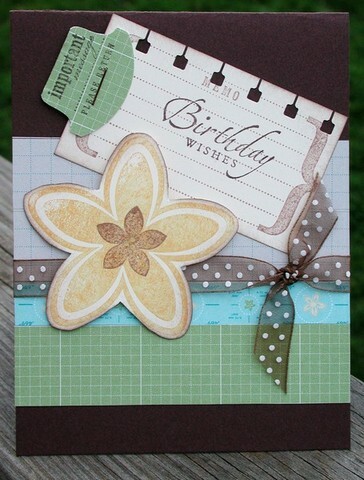 This card that she designed for the Blogger's swap is so incredibly simple but packs so much WOW! I love that the flower pops off the card with Stampin' Dimensionals and I don't think I've ever seen a more perfectly tied double-knot ribbon. I am in awe! 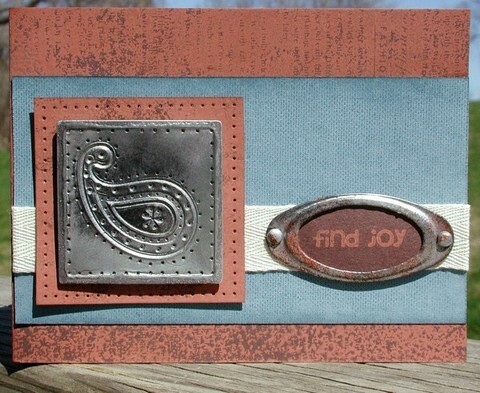 And I just ADORE the use of the new Spiral Punch and the Round Tab Punch. THANK YOU, Denise, for your gorgeous card! The month of April is coming to a close and with that, Autism Awareness Month also comes to a close. But...........this is something we shouldn't be aware of just in the month of April. Many families, thousands of them, are aware of autism every day! I'm aware of it as I watch my son struggle with his vocabulary each day, as I see my son strive to break free from the world that I don't quite know how to break through to, in the small AND the big things that happen every day with Zach, as we celebrate in each little victory that Zach overcomes......each day, I'm keenly aware of autism. It is part of life for us. I love my little Zachy-boy to pieces. He is the sunshine of my life, the light that brightens my days, the hero that I look up to. He never ceases to amaze me......he's an absolutely brilliant little man and I see so much curiosity, knowledge, kindness, intelligence and so much more in this little package of boy that he is. He has made me VERY aware of the silent and sometimes not so silent struggles that other people go through on a daily basis. He has taught me compassion and understanding in ways that I never would have learned if it weren't for his autism. If you're new to my blog, or even if you've been reading for a while now, I wanted to remind you all of the wonderful opportunity that you can all take part in to help make a difference in the lives of those that deal with autism on a daily basis. $8.00 from each set purchased goes directly to Autism Speaks. What an awesome cause to support and what a generous amount from each set sold! If you haven't gotten a chance to check out the totals yet of how many sets have been sold and how much we've raised for Autism Speaks, you'll be AMAZED! Click here ---> A Day in the Life to see a fantastic tutorial and also to see the totals right below the tutorial. This is the face that lights up my life. 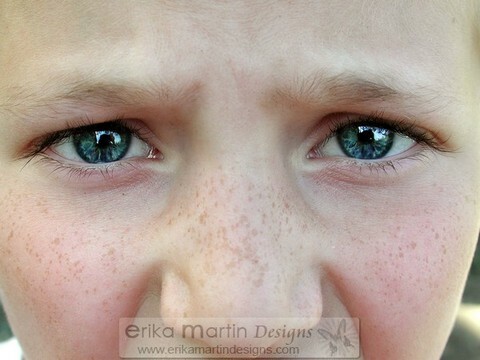 These beautiful blue eyes, those darling freckles, those lovely eyelashes....I could stare at this face forever. May your life be as beautiful and blessed as I consider mine to be! Back at the beginning of the year, I emailed a fantastic stamper to ask if she would like to be a Guest Artist on my blog. She said, "YES!" But then she asked me if I wanted to do the same on HER blog.Of course, I said, "YES!" So, we decided to do a personal swap just between the two of us and create something really fun on our blogs today. We are doing a two-way swap! Some of you probably already know her, but for those of you that don't, I'd like to introduce you to........Sarah Moore! Sarah is an amazing artist and has her blog over at: Sarah and the Stampstars. Sarah's style is adorable and I love her sense of humor. Reading her posts are like a breath of fresh air. She has such a carefree spirit about her. Sarah also heads up the fantastic Craft Critique blog, which is an awesome source for all kinds of tutorials and opinions on numerous crafts and products. Me: Tell me a little bit about yourself and the important people in your life. 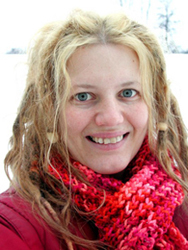 Sarah: I grew up in Illinoise and have always been artsy; theater, singing, photography, painting, metals, lapidary, jewelry, polymer clay, scrapbooking, stamping....the list is pretty endless. I have always enjoyed arts & crafts. I started selling fine Art right out of College and eventually transitioned into Healthcare; arts/recreation therapy and then Marketing. I quit working in 2004 to be home with my son, Anderson (age 3 in June). My understanding, handsome and computer-nerdy hubby, Rick, and I have been married for 7 years. Me: How long have you been stamping and how did you start with this art form? 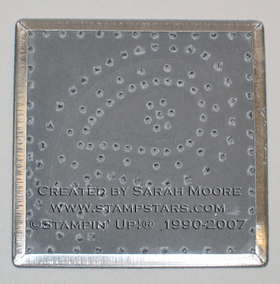 Sarah: I really started stamping when I was planning my wedding; I made all my own invitations, programs and favors. I loved it so much and was hooked right away! Of course, marriage/wedding planning led naturally into scrapbooking.....and I was SO HOOKED on scrapping for the longest time. I didn't hear of Stampin' Up! 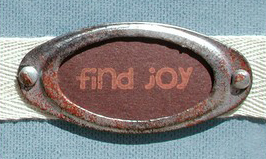 until 2004, though, and that's when I realized how versatile stamping could be. Me: What is your favorite stamp or stamp set? Sarah: This is like picking a favorite child! I guess right now...I am very into the sets from the Spring Mini Catalog.....but a stamp set I seem to grab a bunch is probably "Little Pieces." I just think it matches up with so many other sets, papers and styles. I am also really into retro and off the wall image. Like the stuff at Sideshow Stamps and the Doodle Factory line from SunSpirit Studio. There are so many great image out there! Me: What is your favorite color combination? Sarah: For a while I was really hooked on Pumpkin Pie, Bashful Blue, Certainly Celery and Lavender Lace. I know it sounds odd, but try it. It's a great spring combo and very "fresh," especially when used with Whisper White. Me: What is one tool that you can't live without? 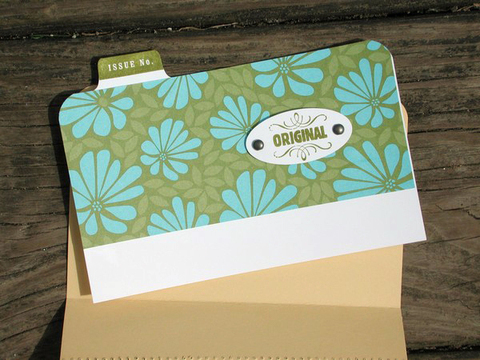 Sarah: I love my Stampin' Up piercing tool and template and also, the SU punches. But I think it'd be tough to live without my Stamp-a-ma-jig. Me: What is one technique that you tend to use over and over again? Sarah: Lately, it's my SU! Slit Punch. Talk about versatility! I love making scalloped circles/ovals/borders with it....in fact, I don't think I've used it for its intended purpose for a long time! Me: What do you do to find your creative groove? Sarah: I am a huge collector of artsy stuff. I love to surround myself with creative images and objects. I find lots of inspiration in fashion, fabric, vintage figurines, advertisements and illustrations. When I am in a slump, I just spend time soaking it all in! I also keep a sketch book and I note favorite color combos, layouts or unique ways I can think of to use an embellishment in my journal. Thanks for all the great answers to the interview, Sarah! "Ok… the Hodgepodge Hardware is embossed with silver powder. I just press it into a Versamark pad and then dip it into the powder… heat and dip it in the powder AGAIN… I add three layers. I also embossed the heads on the brads. Then I sponged them lightly with Real Rust Craft ink and heated them for just a second or two till they melted. Take your stamp and ink it up with versamark… set it aside. Then take a VersaMARKER and color inside a Metal edged tag… avoid the rim. Coat with silver EP. Melt with heat tool. Cool. Color again with versaMARKER and repeat… I did this 4 times! 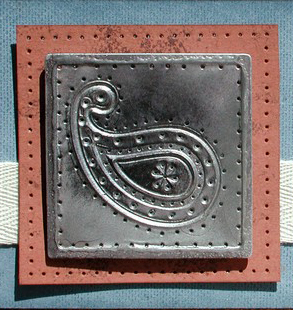 Then when the 4th layer is all hot and melty, quickly lay it down and press your stamp into the molten Embossing Powder…. Hold it for a few seconds… then remove. Then I antiqued it with Staz-on black… rubbing off the excess. Lastly I pierced around the image to make it look like Punched Tin from Mexico!" THANK YOU, Sarah, for a beautiful card, the interview and the directions on how to create this AWESOME look! Make sure you check out some of Sarah's OTHER stamped projects over at her blog ---> Sarah and the Stampstars!